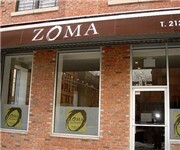 Dine on the delicious cuisine of East Africa at Zoma in New York. They offer a menu of various Ethiopian food favorites. How Would You Rate Zoma?